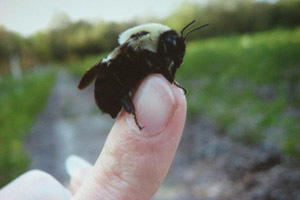 The Buzz Map displays Native Buzz Nest Site created by citizen scientists like you! Click on the pinpoint to see a picture of the nest site and details about discoveries made by the citizen scientists monitoring these nest sites. If you want to be a Buzz-Watcher you -came to the right place! As a Buzz-Watcher you will create habitat for your native solitary bees and wasps who are beneficial insects in your garden community. To begin, please create a profile for yourself, or for your group. The information you provide will help us to get to know you better! 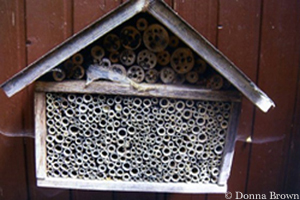 You can build and register as many nest sites as you want. We have many plans and other resources here to help you along. Feel free to be as creative as you would like. 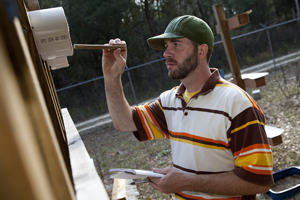 You can either build your own nest site or buy a nest site from one of the suppliers online. Don't forget to take a picture to add to our Buzz Map! This is where the action really begins! 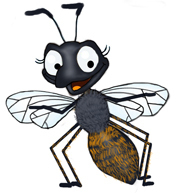 Check your nest site to see if you have new solitary bees and wasps. The female bee or wasp will collect pollen or prey, lay an egg on this food and seal the cell with mud, grass, leaves or some other material. When the entrance is sealed off then the female is finished and you can get started!